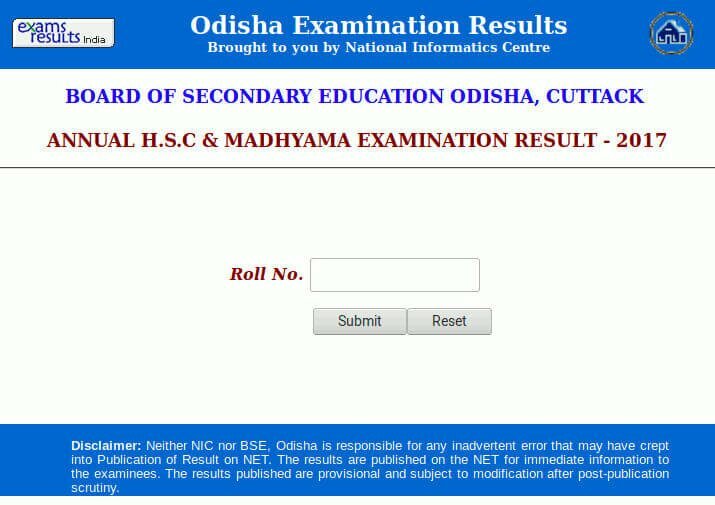 BSE Odisha (Odisha Board of Secondary Education) released HSC Exam results and Madhyama Results (BSE Odisha HSC Result 2017) today (26th April 2017) 11:30 AM. According to the NIC results website, students can check their results using their Examination roll number on orissaresults.nic.in. The result will be hosted on two websites and students who appeared HSC Exam 2017 can check their result from any of these websites orissaresults.nic.in and bseodisha.ac.in. 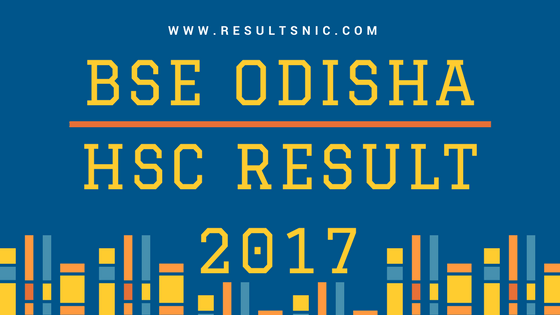 Direct Link to BSE Odisha HSC Result 2017 : ANNUAL H.S.C & MADHYAMA EXAMINATION RESULT - 2017 is available now. School and Mass Education Minister Debi Prasad Mishra announced the results on 26th April 2017. Students will be able to go through the OMR sheets also. Girls performed well in this year. 2,55,051 Girls and 2,47,948 Boys cleared the HSC 2017 Examination. The overall pass percentage was 85.28 percentage. Last year the highest pass percentage was 83.32 percentage. A total of 4, 85, 989 students cleared the annual Examination 2017. According to BSE Odisha, 748 schools across the state scored 100 percentage pass while 22 schools scored 0 percentage of pass. The board of secondary education, Odisha is a body corporate constituted under the Odisha Secondary Education Act, 1953. It regulates, controls and develops Secondary Education in the State of Odisha and provides varied courses in order to equip students for different occupations, to prepare them for University education and to equip them for various purposes.